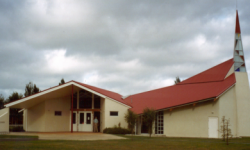 Welcome to The Catholic Parish of Whanganui, New Zealand. 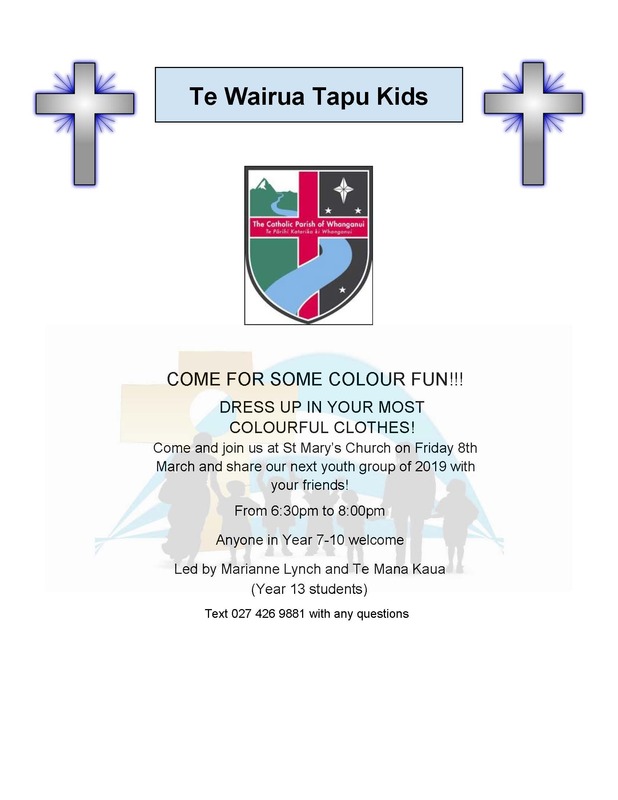 It was formed in 2015 from the communities of Holy Family, St Mary's and St Anne's, within the city, as well as our the Maori Eucharistic Communities along the river - Ranana, Kaiwhaiki and Jerusalem. 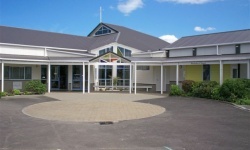 There are four Catholic schools: St Mary's, St Anne's and St Marcellin primary schools and Cullinane Collage. 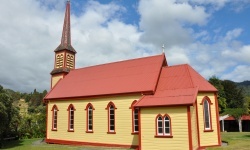 As a diverse multi-cultural parish it reflects the contemporary reality of the Catholic Church in New Zealand. 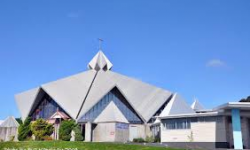 There are Filipino, Indian (Syro-Malabar rite) and Maori parishioners who have monthly masses that reflect their language, faith and heritage as well as the Masses in English. 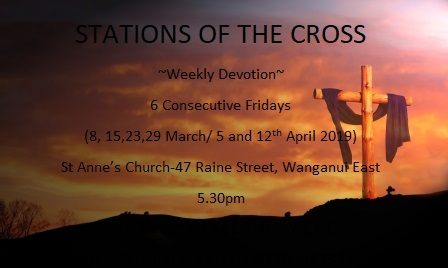 Whanganui is blessed with a rich and varied Catholic tradition and heritage. The Sisters of St Joseph (Josephites) have a centre at Mt St Joseph and continue their charism of education as well as care for elderly at Nazareth House. The Daughters of Compassion also have deep roots here with Ven. Suzanne Aubert establishing her mission at Hiruharama (Jerusalem) up the Whanganui River. Many will know that the celebrated Catholic poet, James K. Baxter, established a community there also. The Marist Fathers ran St Mary’s parish until recently, as well as St Augustine’s College before it became Cullinane College, with a major impact on the spirituality of the Catholics in the city. I encourage you to visit the church with its imposing crucifix and beautiful stained glass windows. Above all I invite you to join with us at one of the Sunday Masses and experience at first hand the Catholic faith in this beautiful and historic city. Thank you once again for your visit. Please take sometime to explore the rest of the site. Feel free to contact us, we welcome enquires and feed back.